Come and grab a cool pic in our brand new, custom-made, giant Instagram frame! A fabulous opportunity for you to get the perfect picture! Go solo or take a snap with friends, the choice is yours! The Instagram frame is currently only available in our Exeter Park, so let us know your thoughts and we may feature it in Newton Abbot and Cornwall! The long, never-ending Summer holidays are coming up, and iBounce are here to help! Purchase of our Summer Pass enables you to attend a standard session everyday at any of our iBounce Parks from the 26th July to 4th September 2018. If that's not a bargain, we don't know what is! 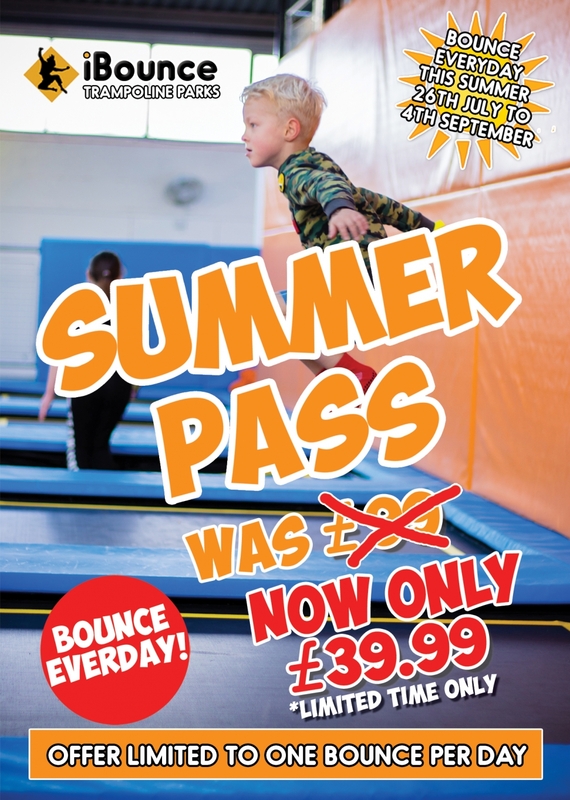 Please note, to take part in this bounce-tastic deal you must purchase your Pass before 31st July 2018. To purchase a pass, please visit our Summer Pass webpage and follow the instructions! *One Summer Pass must be purchased per person. Summer Passes are permitted to be used once per day maximum. Checkout our brand new party room at iBounce Exeter! We've worked really hard painting and decorating our party area to help bring you the best iBounce birthday party possible! PLUS, we're giving an extra 30 minute bonus bounce time for all parties that are booked this May! Wow!! Please note that this offer applies to Cornwall and Exeter brances only. In order to take part in this deal, please phone your chosen branch and quote 'Marevellous May Mayhem'.